On one side you’ve got the accounting software of choice for the majority of anglo-saxon SMEs. 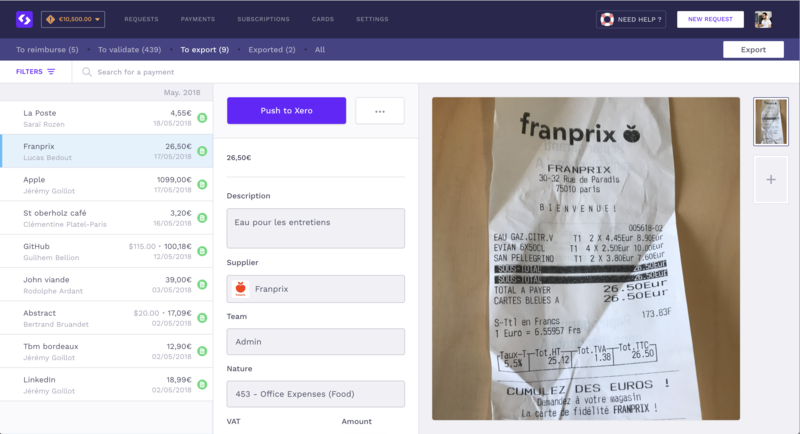 On the other you have the SaaS-based expense management software startup that has set its sights on the top spot in the EU market. Through the magic of API, Xero and Spendesk first came together in September 2017. The right tool for the job! When it comes to financial management, choosing the best software is a top priority for every CFO. That’s why almost 700 companies in Europe rely on Spendesk to handle their expense management and why more than a million outfits worldwide, including many Spendesk clients, particularly in the UK, have adopted Xero to meet their accounting needs. So the startup decided to work on integrating the software. The project was a success, streamlining their clients’ financial management further still. We met with Lucas, Lead Developer, and Jordane, Head of Product, to find out more. Jordane told us: “In France Xero may be a nice-to-have but in the UK it’s a must-have!”. New Zealand-based software company Xero was established in 2006 and quickly became a major player. Its design and wide range of features make this accounting software popular with Anglo-Saxons, who are increasingly establishing themselves in France (legal compliance guaranteed). (cf. best accounting software for small businesses). One of its best strengths is its integration with more than 600 third party apps (Paypal, Vend, Square, Shopify, FUTRLI, etc.). “Spendesk doesn’t plan on becoming an accounting software system. But it’s key for us to integrate into the infrastructure of tools our clients are using!” Lucas explained. Released in September 2017, the first integration with Xero was improved with the final version in January 2018. This coincided with Spendesk raising €8 million, which was a great milestone for the startup and we intend to continue our expansion across Europe. This integration is sure to come as good news to no small number of UK companies! “We’re proud of what we’ve built with Spendesk, this integration brings us to the next level. 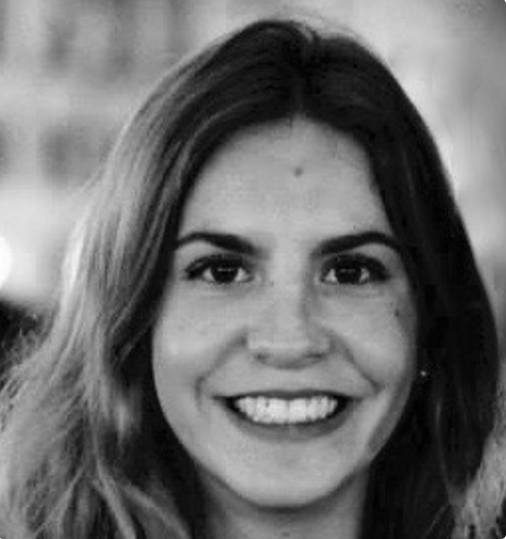 We’re adapting more and more to our clients’ application environment,” Jordane explained. “It takes you from manual monthly accounting to real-time account processing!” Jordane added. “This integration was a real challenge for our team! We have to guarantee that data is accurately synchronised, which is no small feat when we have to interface with many Xero components,” Lucas added. Just a few clicks...and you’re all set! How do companies using Spendesk and Xero actually configure the integration? “We’ve developed an integration that the client can easily configure with just a few clicks!” Lucas explained. The user just needs to log in to the Spendesk platform and click on the “connect to Xero” button with their login information. Under the settings tab in their Spendesk account they can then choose which accounts they want to synchronise. In addition, Spendesk complies with the General Data Protection Regulation (RGPD), guaranteeing all its users data protection that applies to this integration too. As a Xero partner, Spendesk had to provide a detailed description of its software. Every CFO knows how much easier life can be with a helping hand from software? 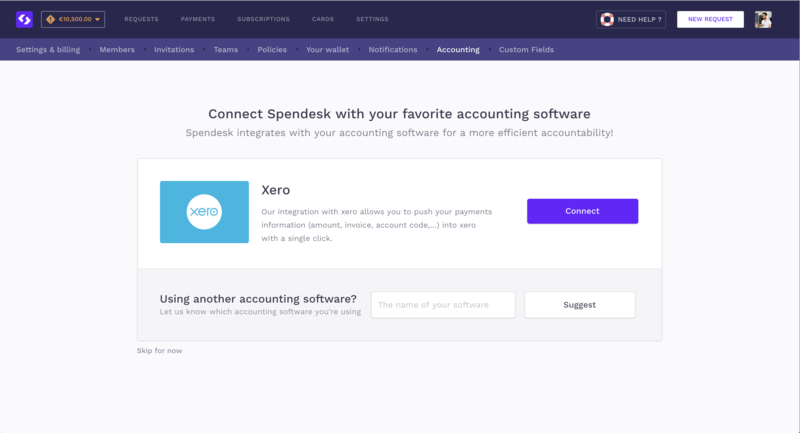 This integration between Xero and Spendesk will make day-to-day life even easier for financial teams.Pretty soon they’ll only need three things: their bank account, accounting software... and Spendesk! So take note all Anglo-Saxon and French companies: when it comes to managing your finances, soon you won’t be able to do without the winning combination of Xero-Spendesk.